The highest quality at all production stages. Advanced machines. Innovative technology and engineering development. We have successfully commissioned over 20 breweries in Russia and CIS with our over 25 years of experience in the brewing industry. We instruct on the classic German and Czech brewing technologies. We brew craft beer. 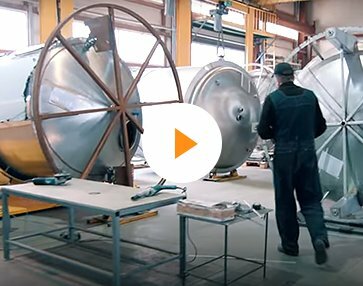 NOMAS – ready-made breweries from 50 liters to 50 tons. We develop custom projects based on your needs and capabilities. We provide full equipment set. We perform assembly and commissioning operations. We train the personnel in terms of classic and original beer recipes. We develop original craft beer recipes. We provide warranty and post-warranty service with attention to every customer. with 500 - 50,000 liters per day productivity. Breweries with 100 – 3,000 liters productivity for restaurants. Equipment for brewing, storing, transporting and selling the beer, made out of quality AISI 304 (DIN1.4301) steel 2B - EN. With 100 – 50,000 liters per day productivity for traditional and original recipes. Full set of equipment for delicious “live” mead with 100 – 50,000 liters per day productivity. Productivity from 500 to 50,000 liters per day for lemonade, fruit drinks, ciders, spicy honey drinks, berry starchy drinks, etc. Qualified professionals will assemble the equipment into a production line. We provide shipping from the production site to the operation site. Remodeling and modernization of old productions. NOMAS is a food industry manufacturer of capacity equipment, made out of quality AISI 304 stainless steel. Any volume, structure and purpose, including complex stirred-tank reactors, with heating and cooling jackets, heat insulation, etc. 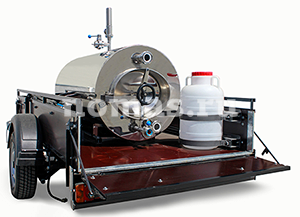 NOMAS produces equipment for beer and kvass breweries, restaurant based breweries, mini breweries, plants for low-alcoholic and non-alcoholic beverages. Answer a couple of questions and get your ready-made equipment supply.